Seriously. You Have to Put These Things on Your To-Do List. It's the little things that mean so much when it comes down to tumbling late-season turkeys or arrowing a monster whitetail. Learn some sneaky tips from our cagey veteran outdoorsman. If you have food plots, or are planning on putting one or more in, it’s not too late to get started. If your existing food plots have seen better days, roto them up, test the pH to assure it’s proper for what you want to plant, and then get some fresh seed in the ground. The majority of quality seed mixes germinate quickly, so the plants will emerge in one week or less and growth should be quite rapid. 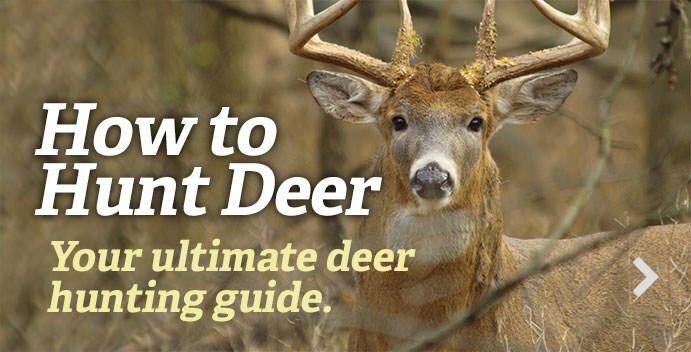 What you’re seeking is to have a good food base available when the deer will be at their peak green-field feeding period in late summer and early fall. Speaking of grilling, if you have some venison left from last season, now’s a good time to use it up. Often the most-tender cuts are consumed first, leaving the tougher, less-desirable cuts in the freezer. An excellent use for those leftover cuts are BBQ’d kabobs. Cut the meat in walnut-sized chunks. Because they’re tougher-grained meat, they’ll need to be tenderized via a marinade. A good basic marinade for this is a solution of Worcestershire sauce, onion powder and a dash of pepper. Marinate in the frig for two days, then place the chunks on a kabob stick along with your favorite vegetables, such as small onions, summer squash, cherry tomatoes, etc., and grill. Great way to get the absolute best out of those less-desirable cuts that are left in the freezer until last. Comfort is often a key ingredient when hunters spend hours in the stand, and while weight of the stand is important, some lightweight stands sacrifice comfort for less weight. So when shopping for a new stand, consider the hours you’ll be spending there, and not just how light it is. Some great accessories involve what the hunter takes with him or her into the stand. Many probably carry these items in a daypack, but then must fumble around in the bag when needing an item. A great addition is one of the screw-in or strap-on storage platforms that act like a small table on which you can place various items you use most so they’re handy and within easy reach. When a couple small screw-in or strap-on hanger hooks are also placed on the tree within easy reach, items like binoculars, grunt tubes, rattling horns, etc. can be stored there, again within easy reach. Another item that can add greatly to the hunter’s comfort is a foot rail rest as well as padded backrest that straps on the tree. These allow the hunter to lean back in comfort and place his feet in a different position other than flat on the stand platform. The foot rail also acts as a safety device, warning a hunter who’s intent on observing an approaching deer that he or she is close to the edge of the platform. Think about what you could have used in your stand last season, and then start adding those items that will make your time there more comfortable and, thus, more successful. If you’re considering having a brand new bow in your hands this fall, now’s the time to get it. Because many bowhunters wait until late summer to shop for their new sticks, hunters shopping for one now can often get a better deal because the archery shops are looking to increase their sales during the off-season. But before you buy, and assuming you have a particular model or models in mind, a bit of pre-sale homework should be done. A good start is at archery leagues and clubs that shoot year-round. Pick the minds of the best shooters and bowhunters there, especially the ones who use or have experience with the model(s) you’re thinking about buying. Since most archery shops are happy to let potential buyers “test drive” a new bow before buying it, take advantage of that. Bows and bowhunters are not all equal. What works well for one might not be right for another. If, after doing all this, you’re absolutely satisfied with the choice you’ve made, buy it. Is your bow setup sufficiently quiet so you won’t end up having a buck “jump the string” this fall? When practicing, you should be aware if your bow and released arrow has gotten a case of “warning whisper” since last season. You may not readily notice it when shooting, so have an experienced bowhunter (with good hearing) stand off to the side about 10 yards when you shoot. He or she can then report what they hear. If some noise has crept into your setup, take steps to eliminate it. New puffs on the string, a new shock absorbing stabilizer, new or readjusted rest and proper cleaning and lubing should solve the problem. Editor's Note: This was originally published May 18, 2007.